Leo Tolstoy once said, "Wise consumption is much more complicated then wise production." Indeed, wise consumption is something which is much needed in today’s era. In fact, half of the world stands on the brink of hunger and malnutrition. If "haves" are increasing in the world, then "have-nots" are increasing twice as fast, which is an alarming sign in itself! In essence, the developing countries are struggling hard to bring their economies on the right track but the increase in population washes away any gain. Presently, there are two scenes in the world: one is a plate full of yummy dishes but the stomach is full and the second one is an empty plate with hopeless eyes staring at it with stomachs all empty and craving for food, a sad state indeed. People in developed countries are seen wasting and throwing away food articles and many more consumer goods. All this seriously puts a question mark on our lifestyles. How are we living, with what kind of thought process? Is my lifestyle affecting someone or can my lifestyle help someone? Am I living a sustainable life? We all need to ask all these questions to ourselves. 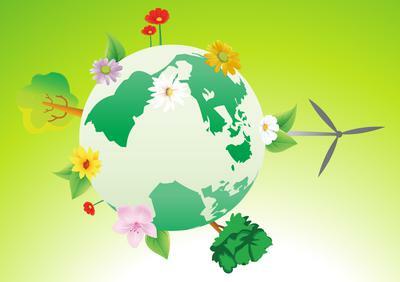 Sustainable lifestyle refers to living in such a way that is socially beneficial, economically viable and environmentally benign the whole life cycle of goods consumed. Our actions affect the whole life cycle and it's true! The main problem is the behavioral problem. The value-action gap… here I’m talking about those consumers who are already very much concerned about their actions and the choices they make; whether it is eco-friendly or whether it may affect the planet adversely and so on. Then there are those people who give a damn to a phrase like "Sustainable lifestyle or consumerism." They do what they want and get angry towards those who warn them about their actions. Then there are those people who know everything about sustainability, they are very much concerned but they don’t bring down those concerns in their actions. Sometimes, lack of complete information is a cause and sometimes the purchase-decision making process is highly complicated and relies on social, political and psychological factors. The main barriers to sustainable consumption include: lack of awareness and training; lack of support from the community, government and industry; reluctance to include the true environmental and social costs in the price of goods and services; ingrained unsustainable thinking and behavior patterns; and lack of alternative sustainable products and services. Currently, the unsustainable consumption patterns of the people are destroying the environment, both social & economical; distributing resources in an inequitable manner; contributing to social problems such as poverty and hampering sustainable development efforts, also, depleting stocks of natural resources. Sustainable consumption requires a multidisciplinary and multinational approach. I believe that developed countries should help rather than exploit the developing nations. They must lend a helping hand in creating and implementing the policies supporting them. Let me share a truth with you: many people believe they are living sustainably because they are doing better than others around them by for example separating their rubbish for recycling more than others or riding a bicycle to work rather than driving. How do we know if we are doing enough? Even those who work professionally in the area of sustainability rarely have truly sustainable lifestyles themselves, even if they advocate them for others. Most of the time, people complain that they are not able to prepare themselves for a sustainable life alone; they need a collective movement, they get inspired from the actions of others. It is often thought that if we recycle our waste then we do not need to worry further about it. However, the energy use of recycling may be significant and indeed, in certain circumstances, actions 3 and 4 above may be interchangeable in that, in environmental terms, it may be preferable to generate energy than recycle in considering the energy required for recycling. Over time, more thought is being given to treating waste as a resource rather than something to be disposed of. It is therefore helpful to think in terms of the life-cycle of a material with more than one use. Use of water should be done in a much efficient and wiser way since there are millions of thirsty souls on our planet, craving for clean drinking water. Food wastage is in my view a moral crime! Firstly, one must not fill in its plate too much and if by mistake or out of craving you end up doing so, then please for heaven’s sake, don’t throw it away or dump it in a bin! Collect that food and find a needy-hungry soul and hand it over to him/her. The smile which you will get to see on his/her face will be your true earning of that day! Trust me, sustainable is absolutely doable; you only have to take just one step forward and a road to real satisfaction will welcome you with open arms.